The Competition Commission of India (CCI) Tuesday said it has given nod to Tirumala Milk Products to acquire Prabhat Dairy’s subsidiary Sunfresh Agro Industries as well as the company’s dairy business. In a tweet, the fair traderegulator said CCI “approves acquisition by Tirumala Milk Products Pvt. Ltd of (a) Prabhat Dairy Limited’s subsidiary Sunfresh Agro Industries Private Limited; and (b) dairy business of Prabhat Dairy.” In January, Prabhat Dairy in a regulatory filing said the France-based Lactalis’ Indian subsidiary Tirumala Milk Products was acquiring its dairy business for Rs 1,700 crore, which is 1.09 times its sales in 2017-18 of Rs 1,554 crore. 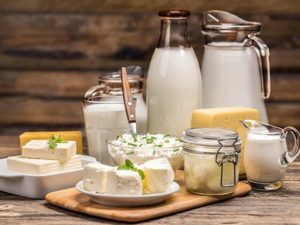 Besides the dairy business, the transaction also involves sale of 100 per cent shareholding in Sunfresh Agro Industries, a step-down subsidiary of Prabhat, via a share purchase agreement, the company said. In a separate tweet, the CCI also said it “approves acquisition by Varun Beverages of 9 manufacturing plants and franchise rights for 7 states and 5 unions territories as a going concern on a slump-sale basis from PepsiCo.” Varun Beverages Ltd (VBL) is an existing franchisee bottler of PepsiCo in certain territories, and after the deal, VBL will expand its bottling activities for PepsiCo beverages to territories which were earlier operated by PepsiCo. The new areas include Gujarat, parts of Maharashtra, parts of Karnataka, Telangana, parts of Andhra Pradesh, Tamil Nadu, Kerala, and union territories of Puducherry, Dadra and Nagar Haveli, Daman & Diu, Lakshadweep, and Andaman & Nicobar Islands. Separately, the CCI tweeted that it “approves acquisition of preference shares of Delhivery Private Limited by Deli CMF Pte. Limited”. According to a notice, the deal is for acquisition of over 63,500 compulsorily convertible preference shares after which the holding of Deli CMF in Delhivery will become 4.51 per cent from the current 4.76 per cent.